For Christopher Miano, every project is an opportunity to explore processes and combine age-old craft with modern techniques in his coherent design style. 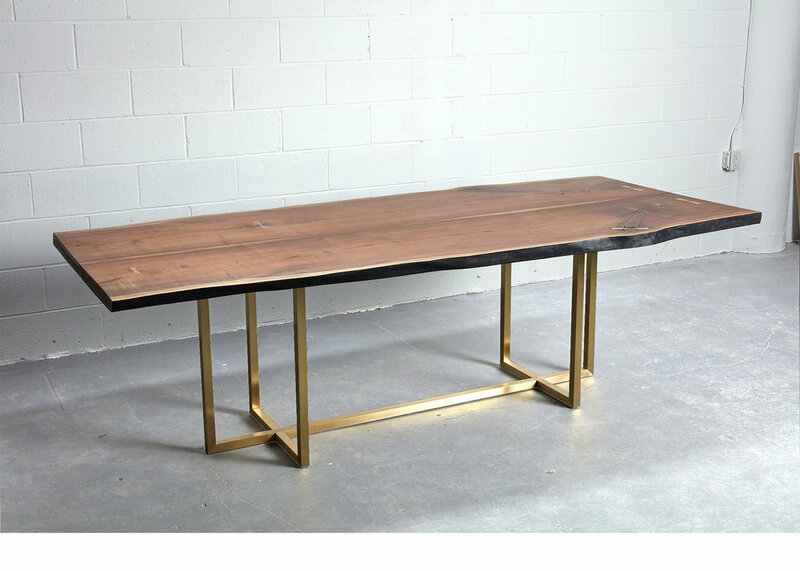 Christopher works directly with clients to concept out, design, and fabricate pieces that lean heavily on handcraftsmanship and superior materials, like high-end woods, Carrara marble, and beautiful metals. From first sketch to final product, Christopher is intimately involved in every step, resulting in unique designs with an heirloom quality. A graduate of Parsons The New School of Design, Christopher was invited to study at the prestigious Royal Danish Academy of Fine Arts in Copenhagen. His products can be seen at One World Observatory on top of New York City's World Trade Center and other design boutiques such as McNally Jackson, Good For The Study and Fair Folks and a Goat. Previous clients include 214 Lafayette, Optimum Diamonds, Epicurious, FOOD&WINE, bon appétit, The Plaza at Harvard University, JCW Risk Management, Starbucks, and Condé Nast, among others. Christopher resides in New York City with his shop dog Hunter. We’d love to hear what you have in mind!